Please note that Julie will contain strobe lighting. 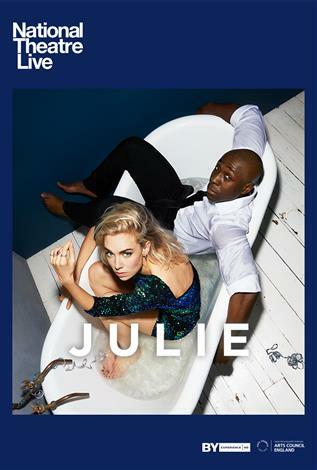 Vanessa Kirby (The Crown, NT Live: A Streetcar Named Desire) and Eric Kofi Abrefa (The Amen Corner) feature in the cast of this brand new production, directed by Carrie Cracknell (NT Live: The Deep Blue Sea) and broadcast live from the National Theatre to cinemas. Wild and newly single, Julie throws a late night party. In the kitchen, Jean and Kristina clean up as the celebration heaves above them. Crossing the threshold, Julie initiates a power game with Jean – which rapidly descends into a savage fight for survival. This new version of August Strinberg’s play Miss Julie, written by Polly Stenham, remains shocking and fiercely relevant in its new setting of contemporary London.